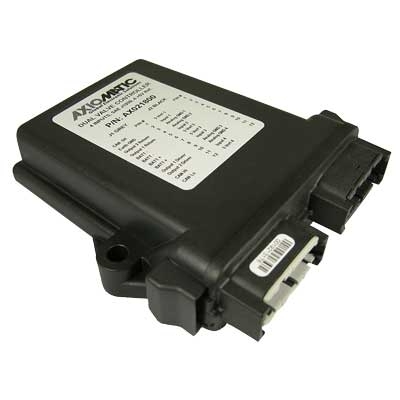 The Fan Controller is designed for the electronic control of hydrostatic fan drive systems. Variable control of the rotational speed of a fan-drive motor provides maximum efficiency and noise control for operation of the engine cooling fan system. Applications include: motor vehicles (trucks and buses), agricultural equipment, construction equipment, and stationary power plants. Accepting multiple temperature sensor and digital inputs, the controller interfaces to a proportional relief valve. A standard controller is available for some applications.